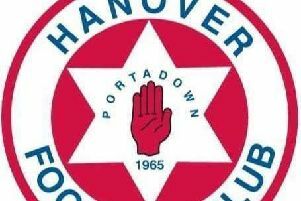 Bethany Free Presbyterian Church, Portadown, will be holding three nights of drug and alcohol awareness meetings in the town from Thursday–Sunday, May 28-31. Those taking part will include addictions workers, GPs and recovered addicts. The meetings are being organised and chaired by Mr Chris Killen who is a full time missionary to the addicted. The first meeting will be held in Brownstown Community Centre on Thursday, May 28, at 8pm, and will highlight the problem of drug abuse in society. Chris will give a multimedia presentation on the effects and dangers of drug abuse, which will include the dangers of so called ‘legal highs’. Dr Walter Boyd a GP will speak about the problem of prescription drug abuse and will also highlight NHS addiction services that are available. Mrs Jeanie Graham, a converted alcoholic, will relate her experiences as a parent having to deal with a son who was addicted to drugs. On Friday, May 29, the team will again be holding a meeting in Brownstown Community Centre at 8pm. The focus on Friday night will be on the problems of alcohol abuse. Chris will give a multimedia presentation on the facts relating to the dangers of alcohol and a number of converted alcoholics will testify of the problems they and their families experienced while under the influence of alcohol. The weekend will conclude on Sunday night in Bethany Free Presbyterian Church, Levaghery Gardens, Portadown, at 7pm with a special testimony by Mr Layton Kelly. Layton was a drug addict himself who was converted to Christ and is now the director of New Hope Residential Centre in Dublin. The meetings will be centred on the gospel of Christ as the answer to man’s sin and the problems encountered in life. They will be of great benefit for those who are currently struggling with addiction, for parents who are concerned about their children, for those who wish to learn more about the dangers of drug abuse and for those who are concerned about the problems society faces due to drug and alcohol addiction. Further information can be obtained from either – Mr Chris Killen 07711 171 178 or Rev Darryl Abernethy 07821 544 625.